It’s been 7 months since I’ve been a full-time blogger and freelance writer and I honestly can’t say I know where the time has gone. It’s been a wild ride and a very fulfilling journey. I’ve learned so much and can truly say I wake up each morning enjoying the work I do. This time last year, I couldn’t say the same which is why I’m so thankful for this blog and the blogging community. I don’t share this often but My Debt Epiphany wasn’t even suppose to exist. Back around the time I started this blog, I was set on creating another website in a completely different niche. I became addicted to reading about personal finance however, and started to develop a personal connection with the idea of launching my own personal finance blog due to my relationship and experience with debt at the time. I actually couldn’t really pull the trigger on my idea and hesitated for a few months. The main culprit of my hesitation was fear. In some cases, fear can be very motivating but most of the time, it can hold you back. I was afraid that no one would like or read my blog. 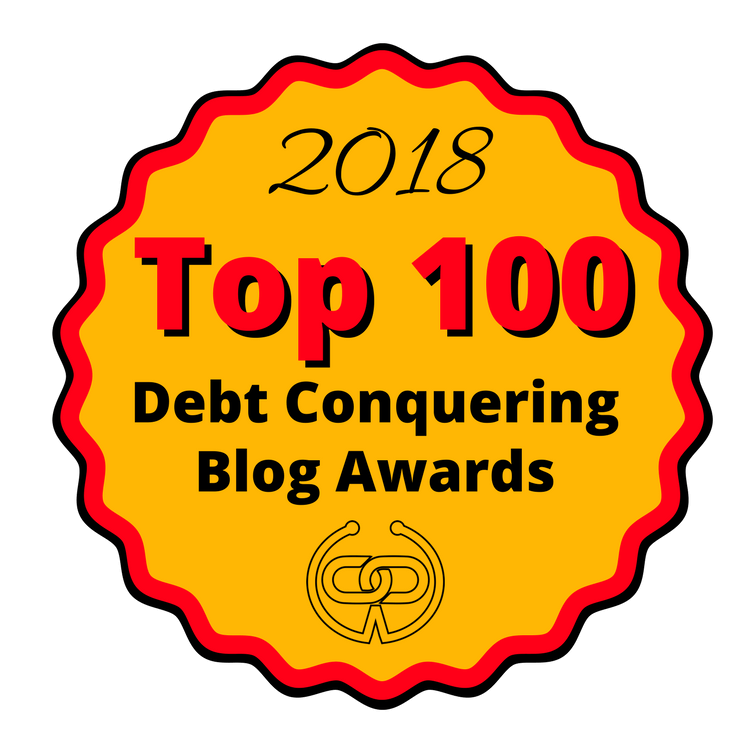 I didn’t think anyone would care or listen to me and that I should probably wait until I’d become debt free or accomplished something amazing in order to start a blog. I also felt like I didn’t have the time to blog. I was working full time, taking care of my son who was 4 years old at the time, and dealing with a hectic work commute. Blogging just didn’t really seem possible. Yet and still, I knew that if I was daydreaming about it so much and coming up with blog posts ideas in my head, my heart and my mind were already working together to create my blog and it would be better if I didn’t fight against it. I believe to be a good blogger, you have to have the drive, the creativity, and a great idea that you can see yourself sticking with long-term. Everything else will fall into place and you may even change your blog’s direction over time as you evolve. Looking back, I am SO happy I started my blog when I did but I honestly wish I would have done it sooner. Blogging makes me feel great and that’s the main reason why I do it. I like to write and tell stories and share content that will help people. The fact that I’ve been able to earn money from it and turn it into a business is the cherry on top. Back when I was working my full-time job, I’d be lying if I said that I didn’t fantasize about what my life would be like if I was able to grow my blog and write full time about the topics that mattered most to me. Granted, I do a lot of freelance writing right now, I wouldn’t have been able to grow that service without my blog. My blog still helps me establish clients to this day plus, I consistently earn extra money from my blog alone each month. So without it, I’d probably be back working at a job I don’t care for. Without my blog, I would probably wouldn’t have as much debt paid off as I do right now either. I recently heard a quote that really resonated with me. It was about how people tend to live their lives. When I read the quote, I thought about how my life used to look. I would dread Sunday night because it meant I’d have to get back to work and the daily grind. I’d go through the week half present in anticipation of something fun, exciting, and relaxing happening during the weekend. I always lived in the past or for the future, but never in the now. Blogging has helped me find meaningful work where I no longer have to live for the 52 Fridays that occur each year. Instead, I live more, stress less, and feel more fulfilled each day since I’m doing something I love. I realize that I don’t talk much about blogging for profit or freelancing here and I want to change that. This blog is primarily about money and using it to enhance your life. Since blogging and freelancing are such a huge part of what I do, I figured why not share more details? Plus, after releasing a reader survey, I realized that quite a few readers are interested in how they can earn extra money from blogging. I don’t think blogging is a perfect side hustle opportunity for everyone, but it is one of the best ways to earn extra money long-term and establish a passive stream of income if you’re willing to put the work in. With that being said, I’ve created a free course filled with tons of content that will teach you exactly how to start a successful and profitable blog in just 10 days. This course takes my start a blog page to the next level and will provide you with the guidance and support that all new bloggers need in order to succeed. I took everything I’ve learned and experienced about monetizing a blog and packaged it in step-by-step lessons that I send out over a span of 10 days. I’m really excited to share this new course and I know that if you’ve been wanting to start your own successful and profitable blog but have no idea where to start, you’ll truly get value and direction out of this. The course is self-paced so you can work as you go. Plus, you get lifetime access to all the material for free. You can sign up today and start learning as you go by filling out the form below or clicking this link. If you have any questions about the course or blogging in general, be sure to sound off in the comments! Blogging had definitely changed my life. Without it I know I’d be in more debt than I’m already in. I haven’t stressed about money in a long time. Part of that is due to the income that I make from blogging. That’s great that you haven’t stressed about money thanks to the extra income from your blog. Blogging income has helped me be able to reach more of my financial goals quicker. I’m just getting started and I’m really excited. Thanks for sharing and I’m looking forward to the information in your free course. Glad to hear you’re taking action and getting started! You’ll love the course! So excited to learn from you! I’m just getting started, but have followed your blog for a long time now. I am dreaming of the days when there aren’t 52 Fridays. Thank you for sharing your knowledge! I can relate to being hesitant to start a blog. When I was first considering it, I felt nervous about even telling anyone my idea because I thought they would think it was stupid. It’s funny how much can change in a short time! Now I can’t imagine my life without blogging, and the extra income that I earn is an added bonus! Yes, I feel the same way. I’m so happy I just bit the bullet and did it. I started a few other blogs before I started this one and monetized it. Blogging as a hobby definitely helped me learn a ton but I also think it’s pretty cool to monetize your blog right off the bat too.